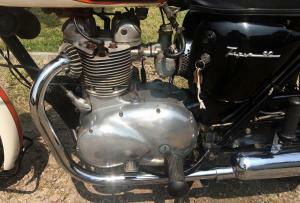 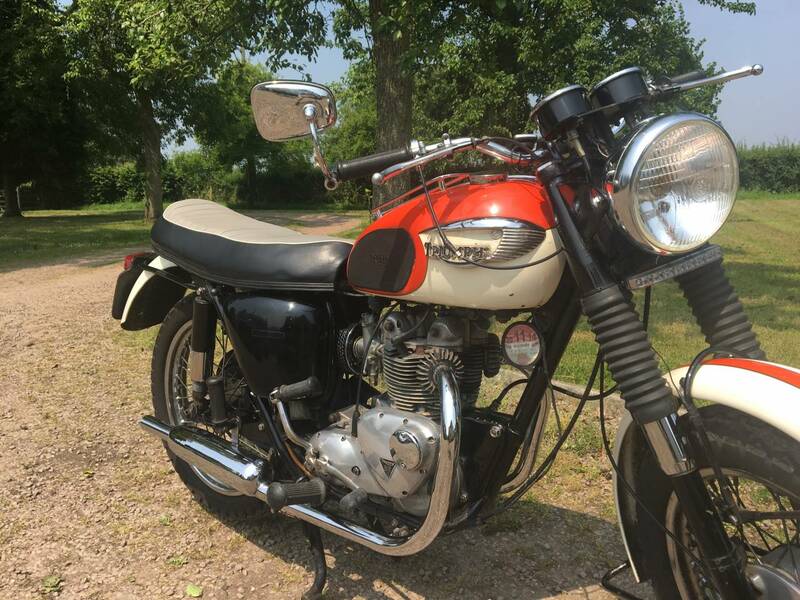 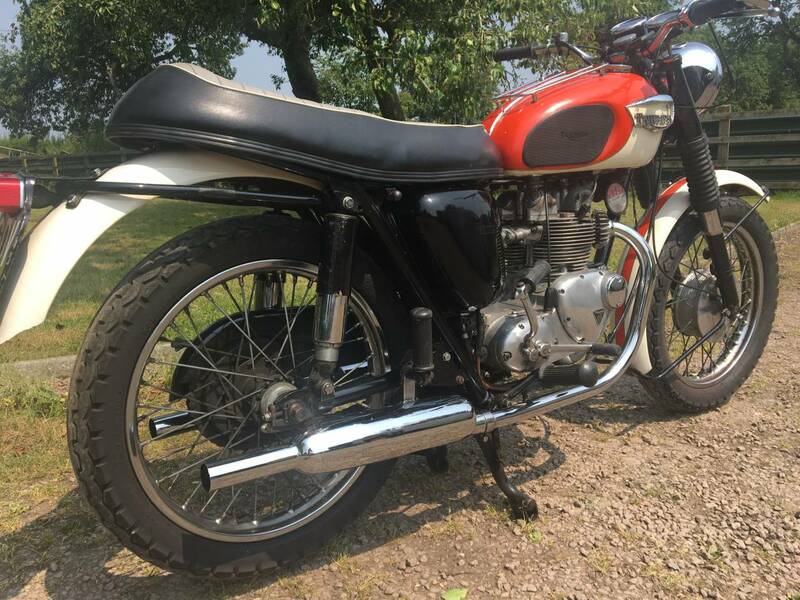 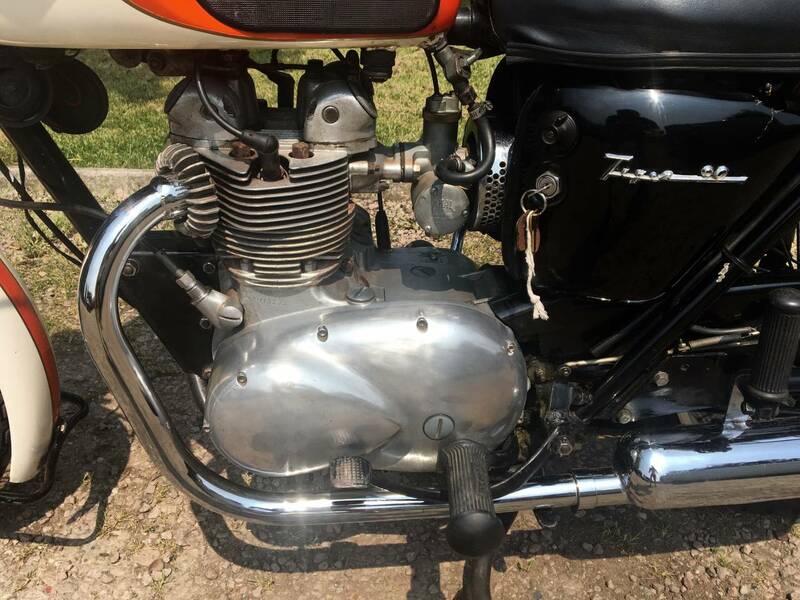 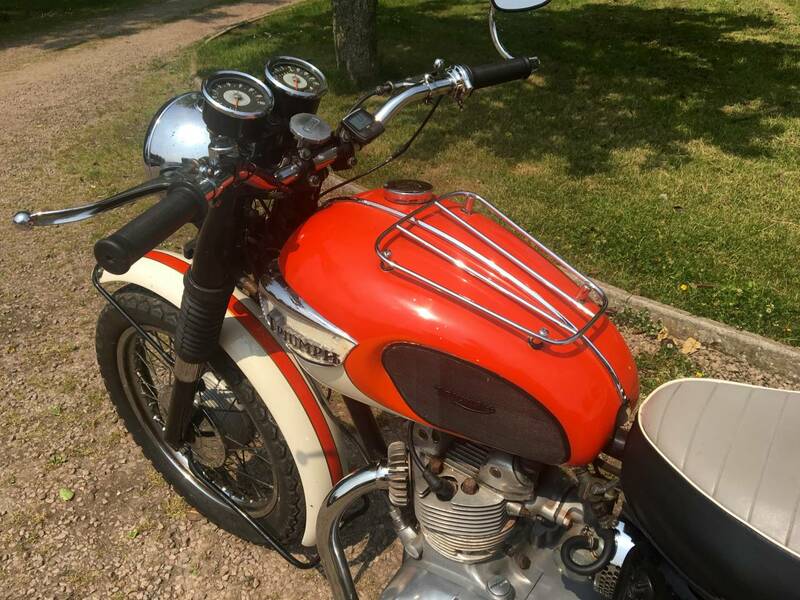 Triumph Tiger 90 350 cc 1966. 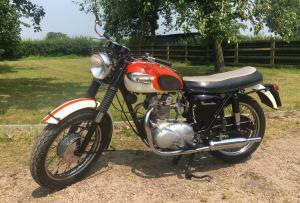 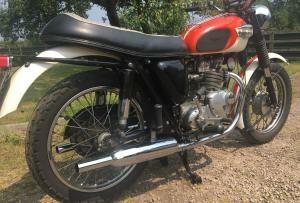 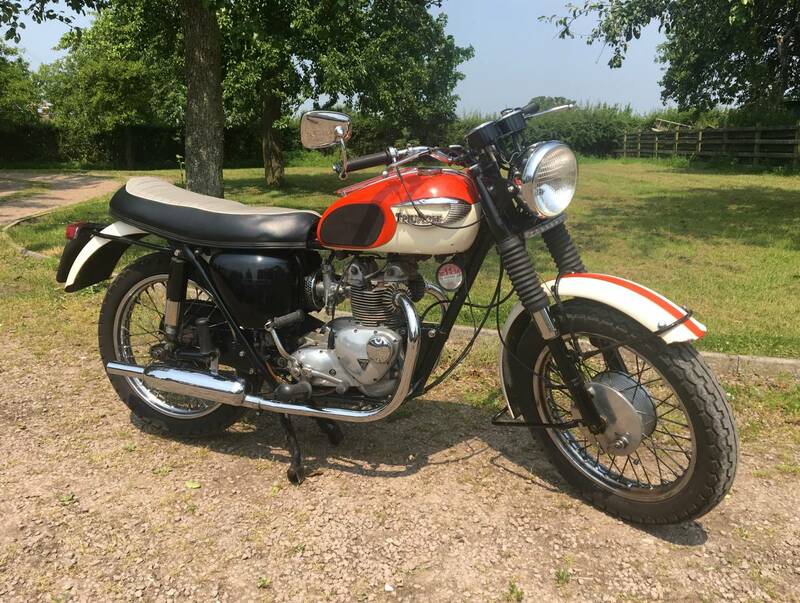 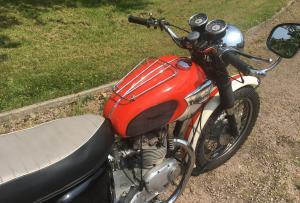 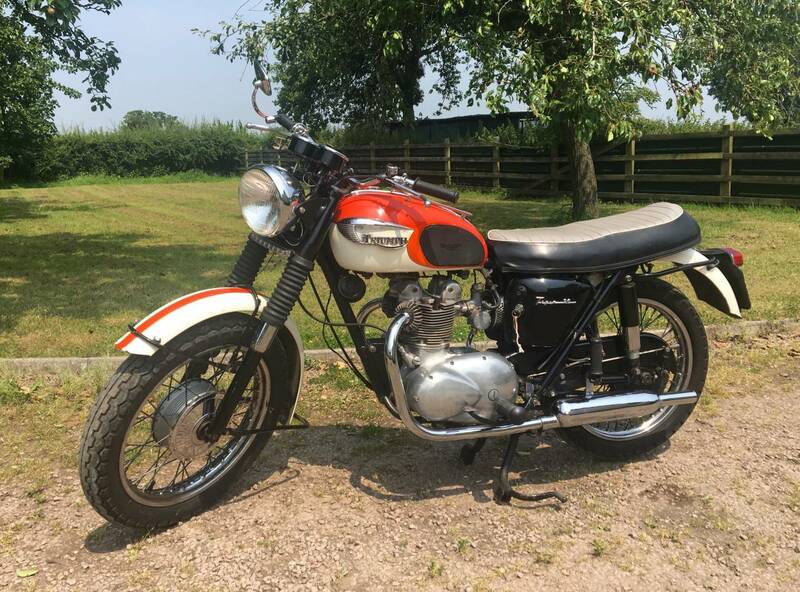 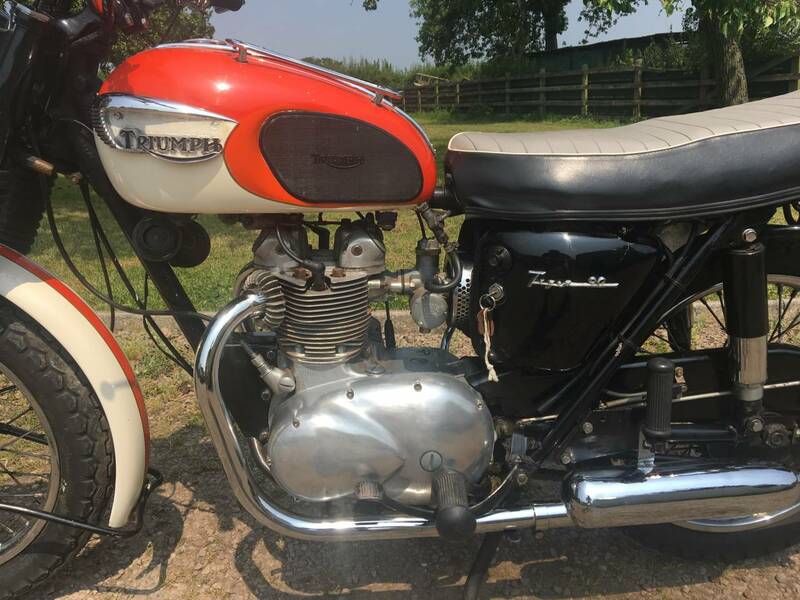 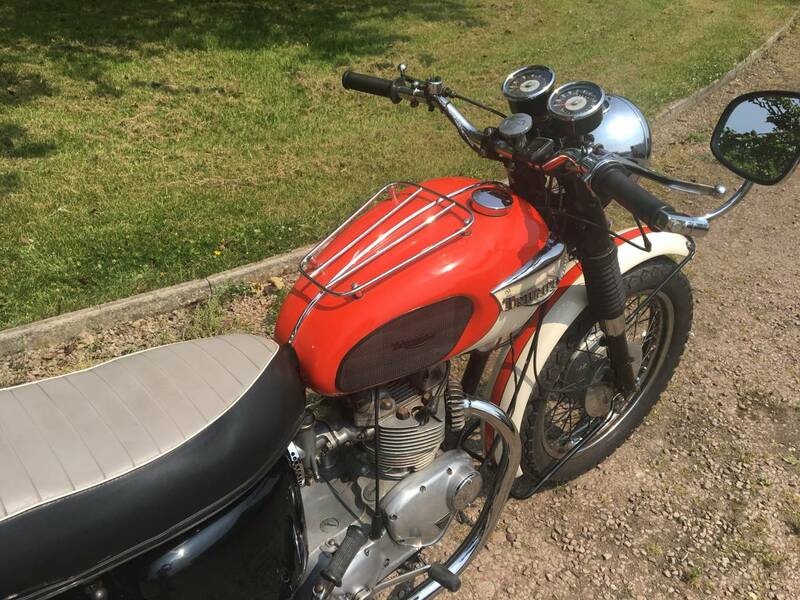 Very Attractive , In The Original Triumph Colour Scheme Of Grenadier Red And Alaskan White . 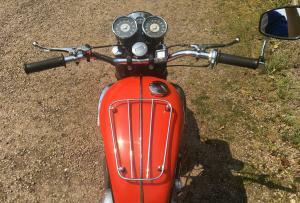 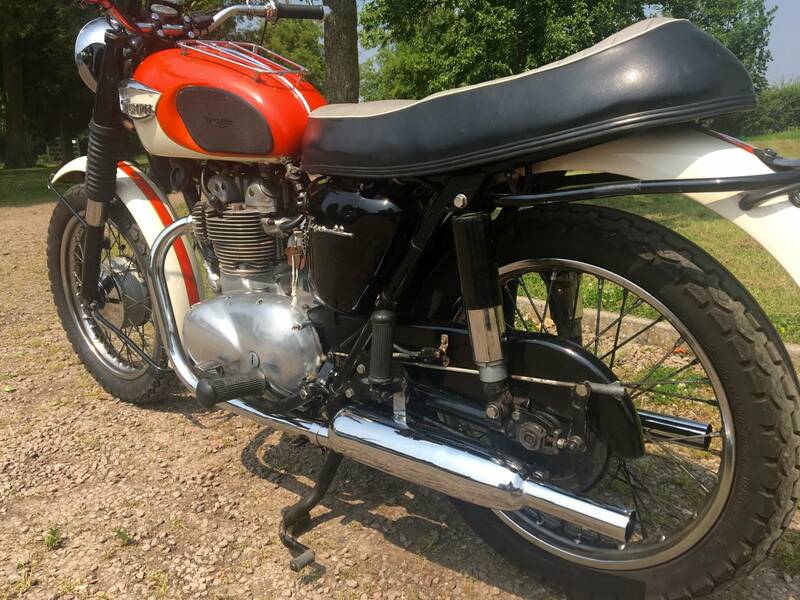 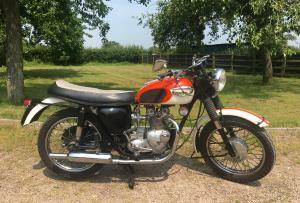 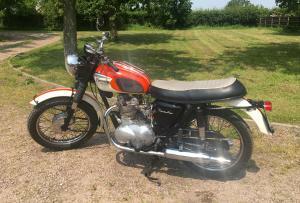 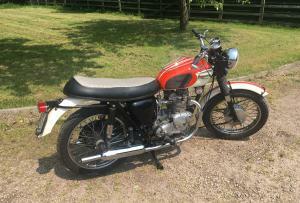 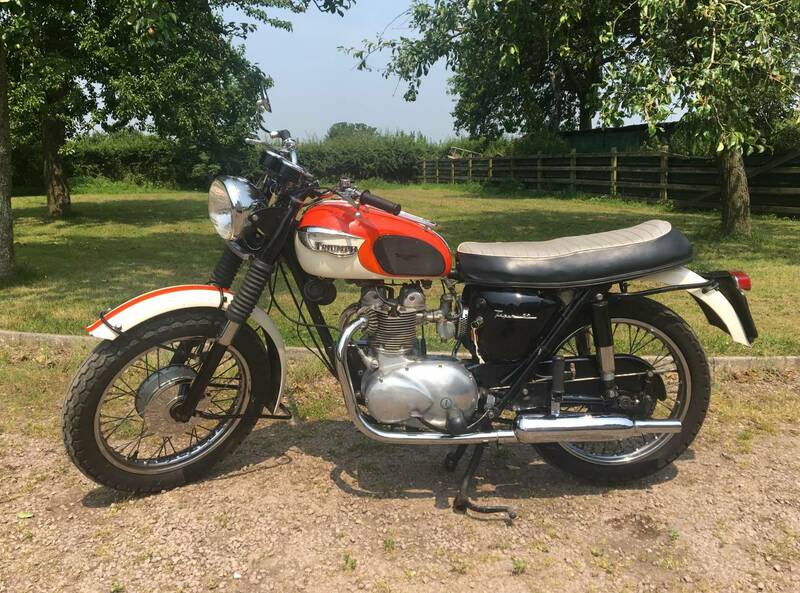 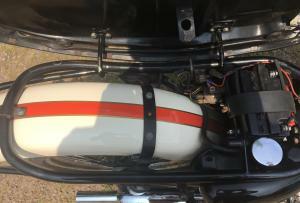 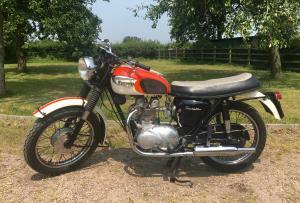 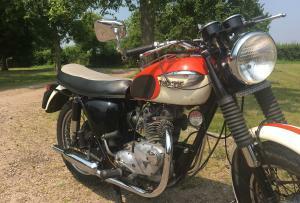 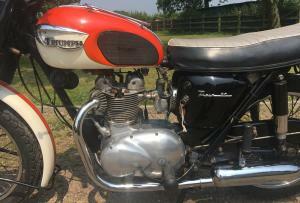 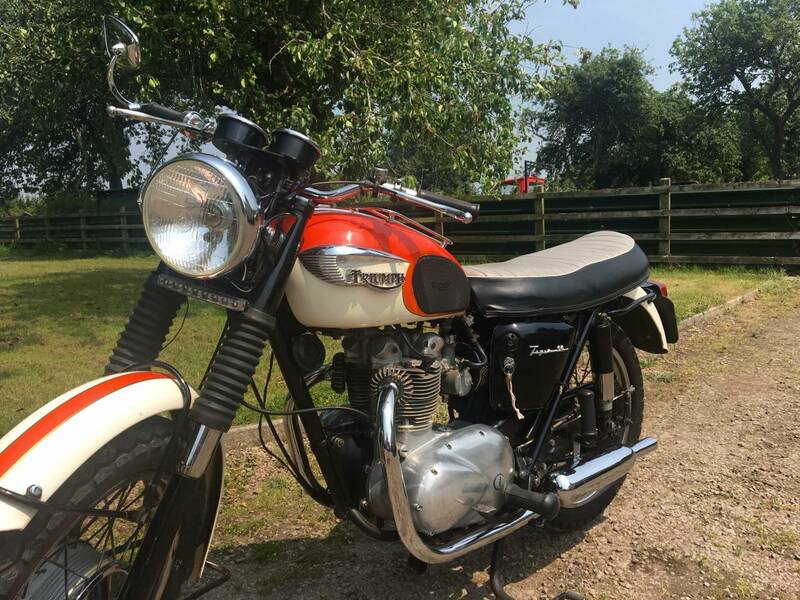 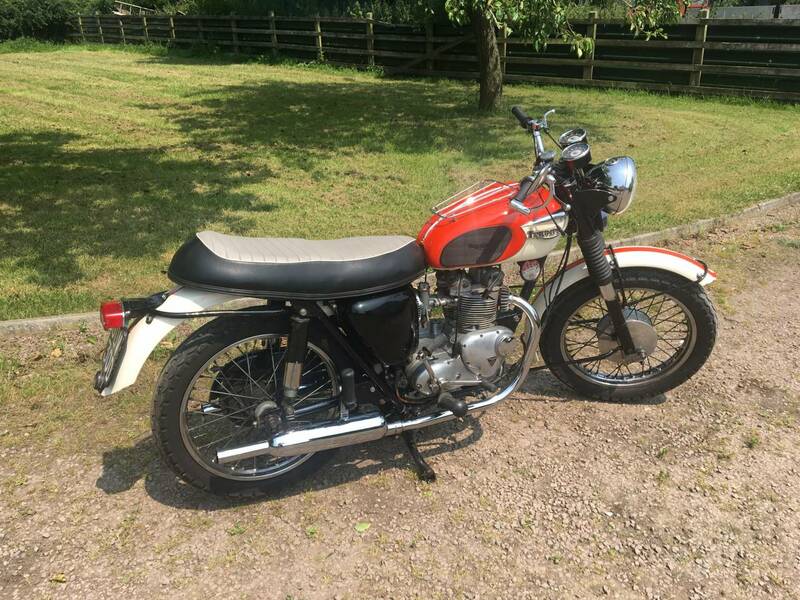 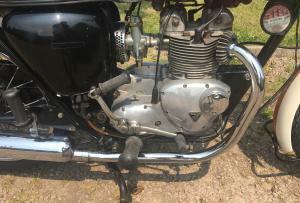 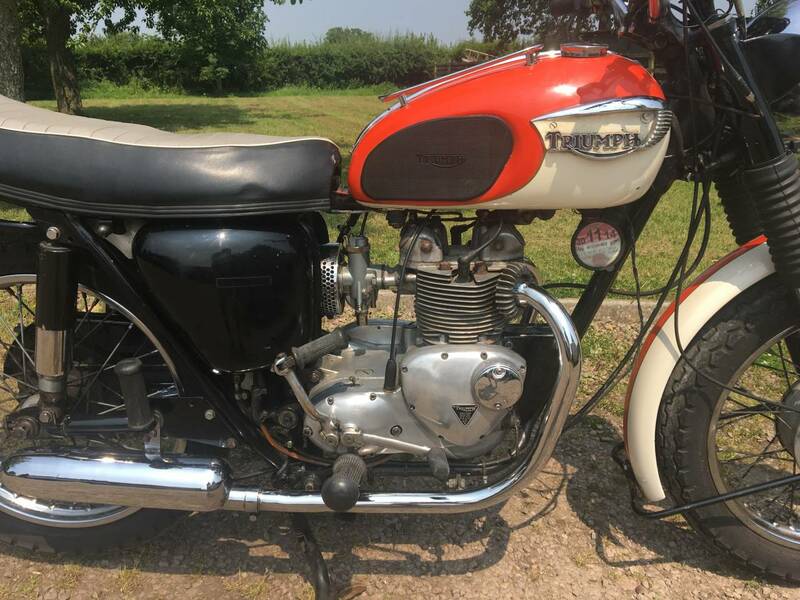 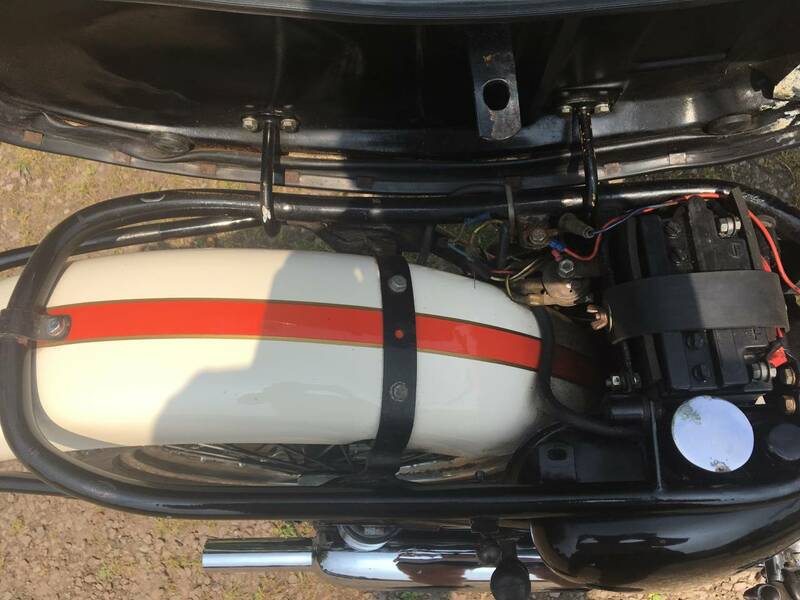 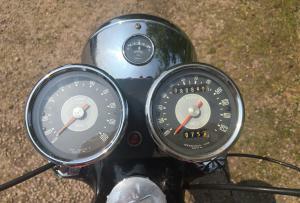 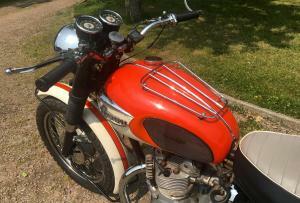 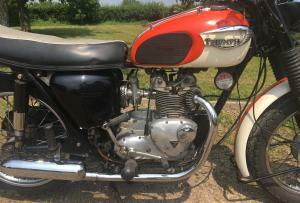 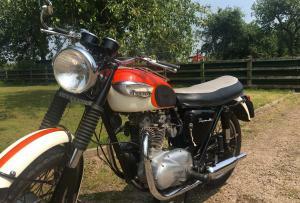 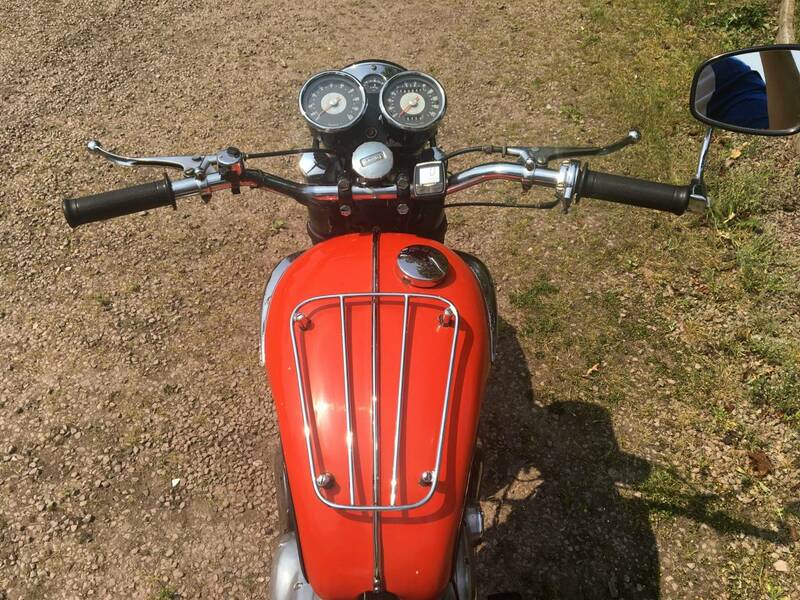 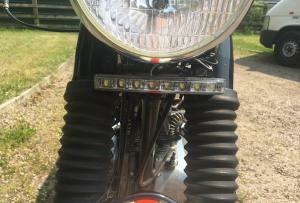 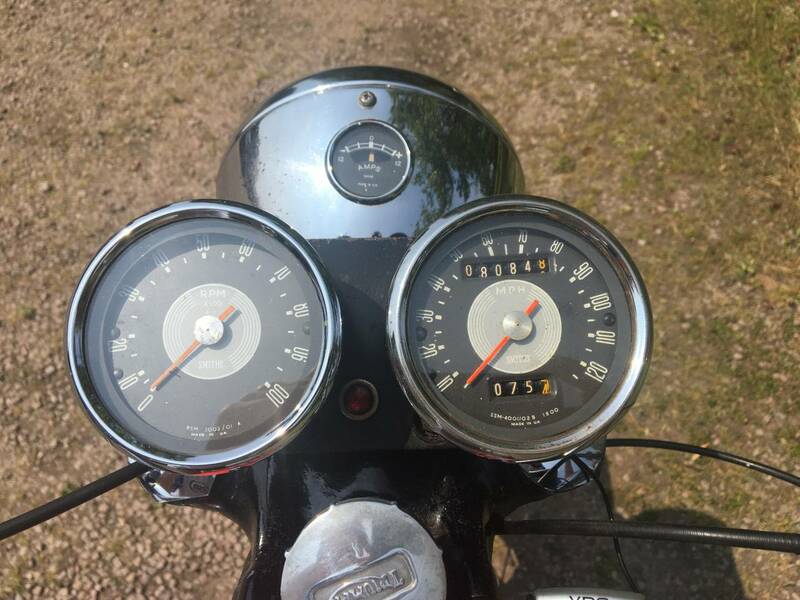 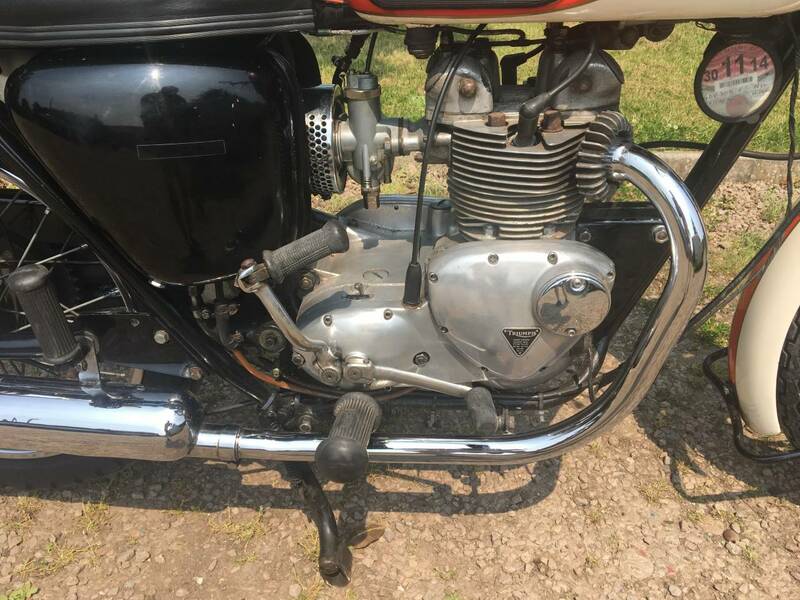 Extremely Original , With Matching Numbers , Correct Twin Clocks , 12 Volt Electrics , Good History File , Old Mots , Manuals , Etc . 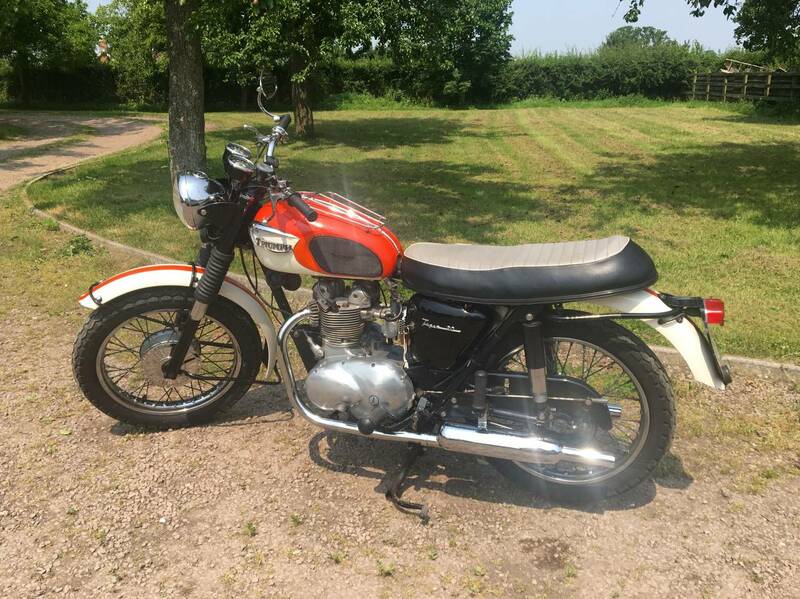 Starts First Kick , Runs Very Well , With Everything Working As It Should , The Only Downside Is That The Rims Are Showing Their Age . 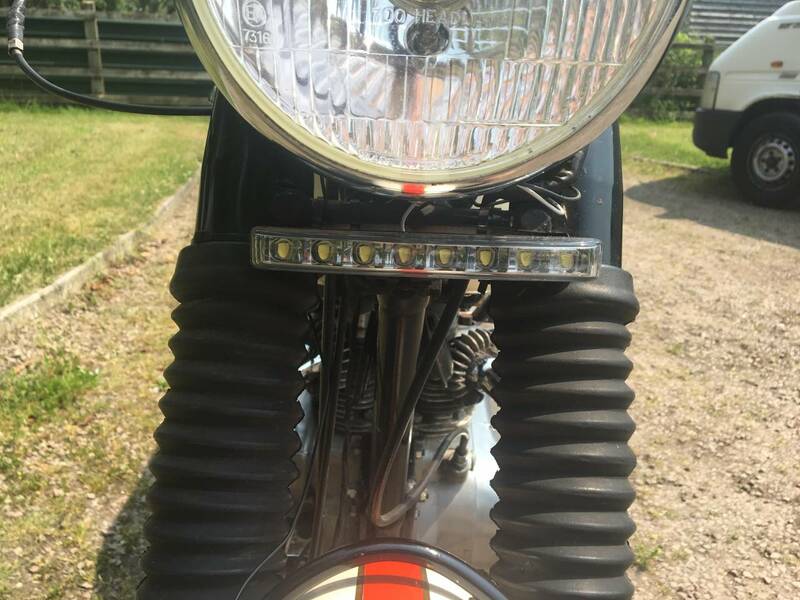 Motd , Tax Exempt And Fitted With Front Underslung LED Light , As A Useful Safety Feature . 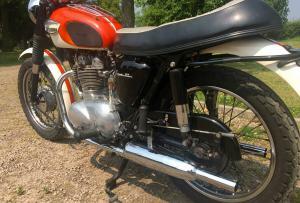 Has A Good , Easy To Operate , Step On , Centre Stand . 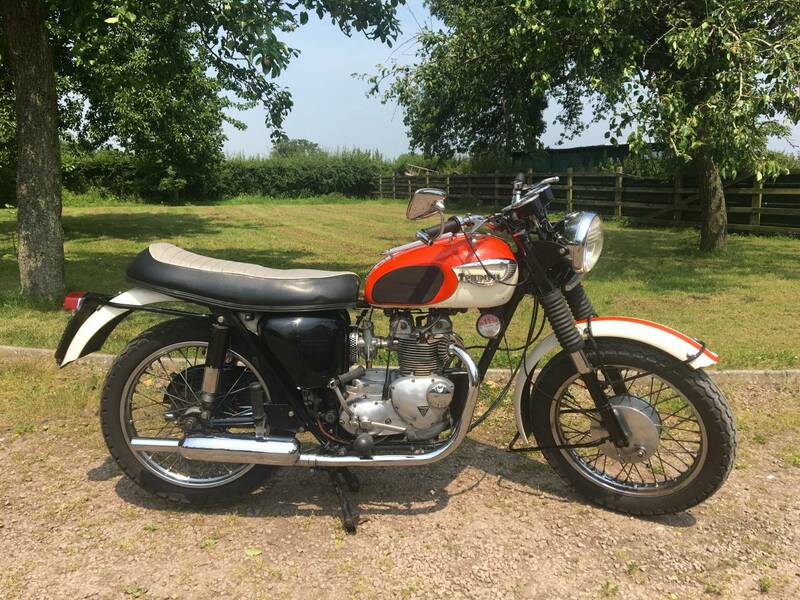 This Is A Lightweight , Low , Easy To Handle , Quick , For Its Size Model , Often Referred To As " The Baby Bonniville "
As Very Popular , Not Many For Sale , Especially At This Price !